Last week, Maddie and I got to play in the kitchen at Stellina with Chef and Owner, Jamey Tochtrop. 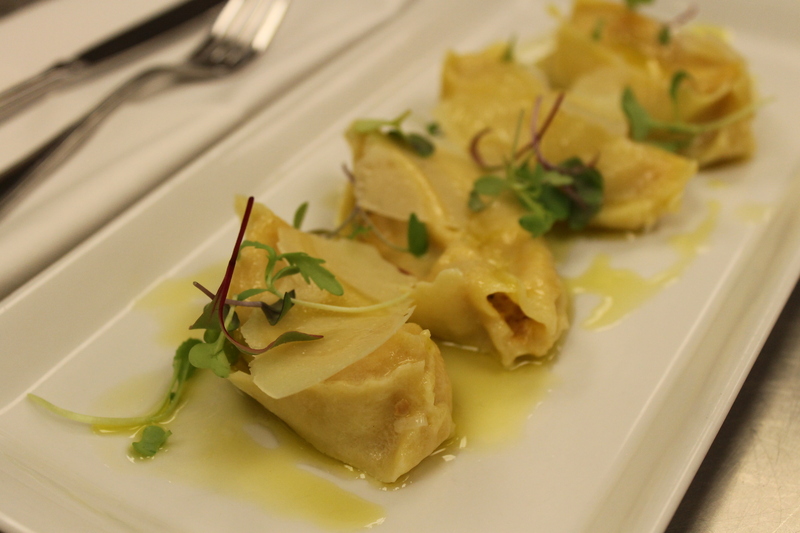 The task at hand was stuffed pasta – a panchetta & leek agnolotti. 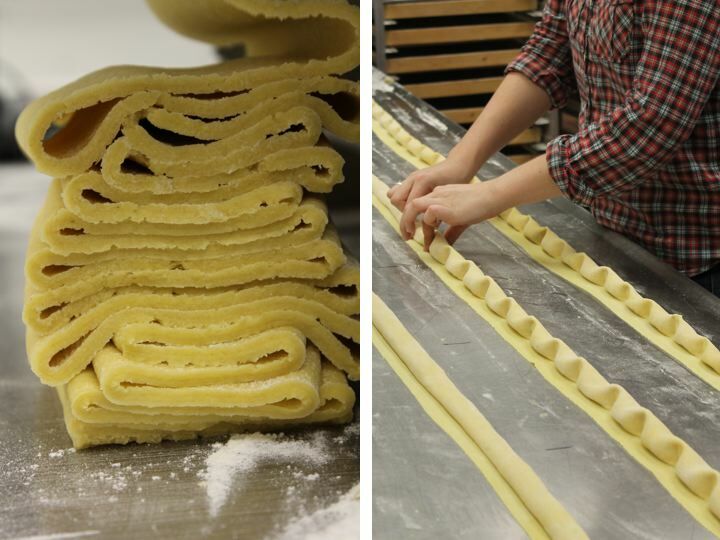 From rolling and flattening to filling and pinching, Maddie and I were taught the entire process of noodle making! Sure, we may have been covered in flour when we left, but we dominated that agnolotti! I’m not sure what the best part of it was – knowing that all the people eating the stuffed pasta would be enjoying something we made, or getting to eat that delicious agnolotti ourselves. A big thanks to Jamey for letting us crash his kitchen – we had so much fun! i want some. I should really stop browsing food/recipes when I’m hungry. 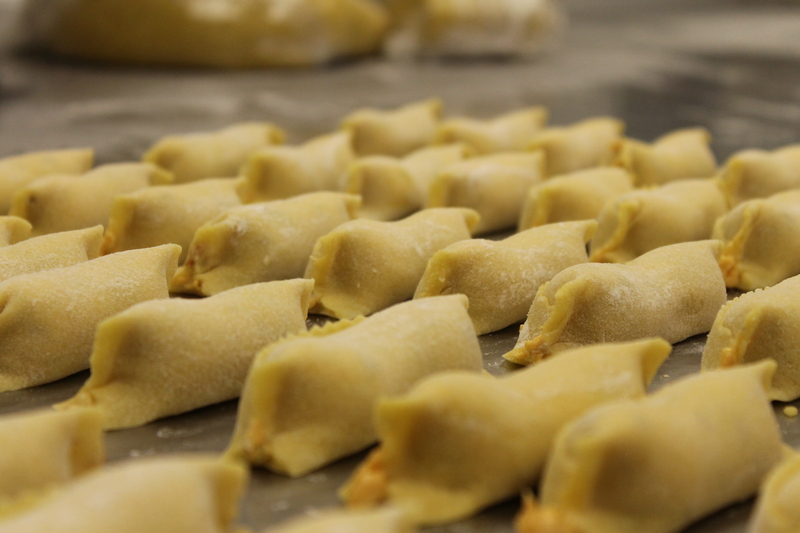 These agnolotti looks (and sounds) delicious. I’ve never heard of agnolotti, but it looks delicious!